LONDON: The British government drew fresh criticism yesterday over its decision to revoke citizenship from a London teenager who joined the Islamic State group in Syria, after her baby died in a refugee camp. 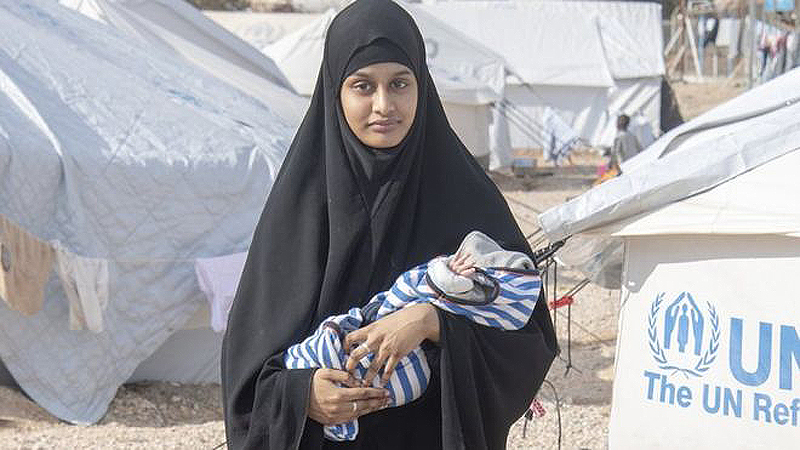 Shamima Begum, 19, had asked to return home after giving birth to her son Jarrah last month in the camp in northeastern Syria, but London refused. A spokesman for the US-backed Syrian Democratic Forces, Mustefa Bali, told AFP the baby had died, without giving further details. The BBC said he had pneumonia, citing a medical certificate. Begum’s fate has sparked heated debate in Britain, which like many other countries is facing a dilemma over whether to allow jihadists and IS sympathizers home to face prosecution, or stop them from returning at all. She was 15 when she left east London for Syria with two other schoolgirls, and was found by journalists in the refugee camp after fleeing fighting between the terror group and US-backed forces. Begum told them she wanted to return home to save her baby, saying that her two older children had died, apparently from illness and malnutrition. “I don’t want to lose this baby as well and this is really not a place to raise children, this camp,” she told the BBC at the time. Begum, who was married to a Dutch IS fighter who is now thought to be held in Syria, initially showed little remorse about IS attacks, sparking public outrage in Britain. But Javid’s decision to revoke her citizenship drew mixed reactions. British law states that the government cannot remove a person’s citizenship if that would make them stateless, unless there are “reasonable grounds” to believe they can become a citizen of another country. It was reported that Begum could be eligible for Bangladeshi citizenship through her parents, but Dhaka said there was “no question” of her going there. Javid had hinted that her baby could be treated differently, telling MPs previously: “Children should not suffer, so if a parent does lose their British citizenship it does not affect the rights of their child.” But he said it would be “incredibly difficult” to bring the child back from Syria, where Britain has no consular presence.